One of the best things about living in Franklin, TN is the many festivals held on Main Street in the charming downtown. In December, it’s a Dickens of a Christmas. People dress up and act the parts of the famous Charles Dickens novel. It is quite a sight. Some pets even get into the spirit. As you know Jonathan always has his camera with him and snapped a shot of a dog dressed up for the event. Thank you to Randy from franklin dog for featuring this picture and writing the article. We absolutely love to take pictures of pets. 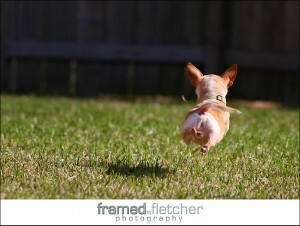 Anyone who knows us says our Chihuahua’s are the most photographed dogs on the planet. Check out the article on the Franklin Dog web site (it even features a photos of the amazing Sandy)! Sitting on your coffee table may be a makeshift scrapbookof less-than-professional snapshots of your Franklin dog. 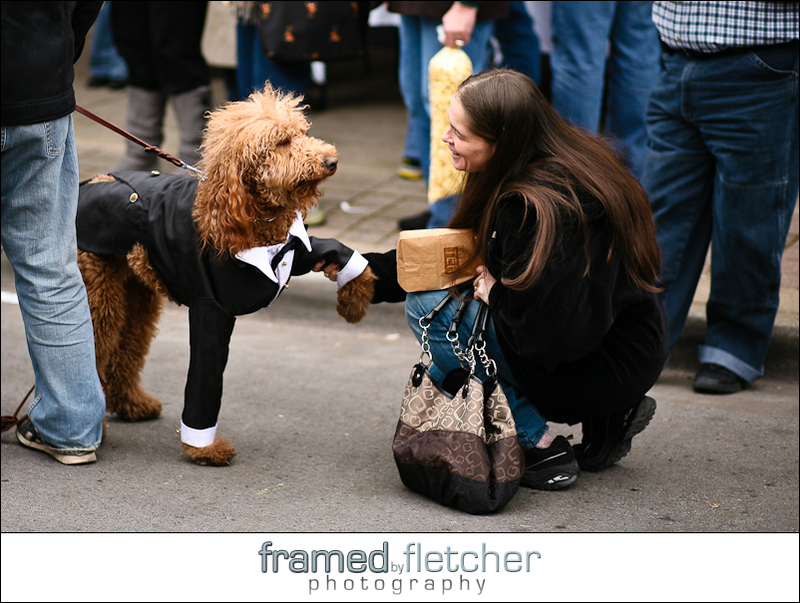 But visit www.framedbyfletcher.com and see why there are a couple of Franklin dogs with portfolios to brag about. After all, they’re owned by quite a creative couple, professional photographers Jonathan and Blakley Fletcher. Weddings, portraits, special events — the website showcases work in a multitude of categories, including pets. You’ll also find emotion-packed pictures of historic Franklin. The couple fell in love with the city on an earlier visit and moved here last year from Houston, TX putting them closer to family in north Mississippi. Jonathan and Blakley didn’t come alone. About eight years ago, the Fletcher home welcomed two chihuahua pups (sisters, actually), Sandy (the boss) and Cheesecake (afraid of her shadow, afraid of walking on hardwood floors and afraid of drinking out of a bowl that is anything but plastic). “We can’t imagine life without them,” Jonathan says. So which is easier to photograph: people or pets? Here’s a tip for even amateur photographers: “We find it’s best to find out what makes the pet happiest and photograph them doing just that. Some of my favorite photos of one of our dogs is her in a completely airborne, leaping position as she chases her little miniature soccer ball across the yard. Chasing the ball is what makes her the happiest, and you can’t help but see that and smile when you look at the photo,” he says.